The milkman of my youth that delivers milk by the bottles is now extinct. But I still remember memories of the local “milk maid”. The “tindera” who sells carabao milk in recycled “Ginebra” bottles. 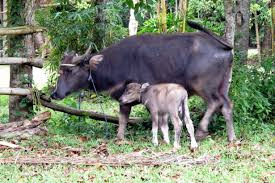 While the Magnolia or Selecta milkmen have white milk contained in their bottles, the bottles of carabao milk contains a greyish colored milk in them. The Philippines currently imports 99% of its dairy milk requirements. Of this 1% that is currently sourced, cows account for 64% and carabaos provide only 34%. At “The Role of Assisted Reproduction in Dairy Industry Development” at the S&T Agri-Biotech forum, Eufrocina. Atabay of the DA’s Philippine Carabao Center (PCC) asked “But where will we get this if we are only one percent sufficient?” asked Eufrocina. Atabay of the DA’s Philippine Carabao Center (PCC). “What aggravates this situation is that there is a low number of dairy herd population both in buffalo and cattle. Another problem is that the animals are being left unproductive for a long time and this will result to low reproduction efficiency and economic loss,” disclosed Atabay who specializes in reproductive biotechnology. 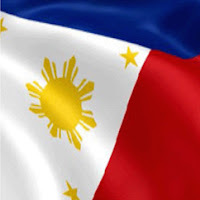 With the continued increase of the Philippine population, the insufficiency of this critical nutrient requirement must be met by a sustainable development program. AI is used to breed animals with higher productivity for both milk and meat by harnessing select animals’ excellent genetic materials. Along with monitoring the success of the AI, there is also in vitro fertilization that uses AI as well. Inducing more egg-cell production of the carabaos will enable these to be preserved for future use. Two months after the AI, the team checks the presence of fetus inside the carabao. It also uses pregnancy test on the animal to determine if the breeding is successful “so we can detect non-pregnancy at the soonest time possible,” Atabay said. “As we employ these technologies, we are ensuring the sustainability of the production of our local dairy animals so we can avoid the importation of live animals for a sustainable and globally competitive dairy industry,” Atabay announced. Such scientific and technological interventions will boost milk supply. It is recognized that carabao milk is more nutritious than cow's milk. Such nutrition is badly needed by a burgeoning population and this will benefit the children most of all.